An Orlando resident who was involved in a traffic collision with a plumbing septic truck recently filed a lawsuit against the company. The plaintiff, the injured victim, is seeking damages for bodily injury, mental and physical pain and suffering, disfigurement, disability inconvenience, loss of enjoyment of life, aggravation of existing medical condition, mental anguish, lost wages, and incurred medical expenses, according to the Florida Record. This may sound like a lot, but with any traffic collision, especially when it involves a heavy truck, the damages can be monumental. Typically, for truck collisions, the larger and heavier the truck, the greater damage it will cause in the event of a crash. In another recent event, a multi-truck pileup occurred on I-95 near the US 1 intersection in Miami, according to First Coast News. The jack-knifed semi-trucks forced a closure of the northbound lane for multiple hours and sent three people in passenger cars to the hospital. In many highly traumatic traffic collisions, the injured victim may suffer multiple limb fractures, severe traumatic brain injury, and deep lacerations and contusions. Medical bills would easily be well in the six-figure range if they were patients of the Intensive Care Unit (ICU). The financial compensation that they may receive for pain and suffering could exceed the cost of medical care. A very severe injury that resulted in permanent scarring, disfigurement, or disability may be “worth” a million dollars or more. If the negligent party that caused the crash was not in the course and scope of employment, you may not have a liability insurance policy that covers your damages. In Florida, there is no law that requires motorists to purchase bodily injury coverage to third parties. This means that if you are injured by a driver in Florida, the negligent driver may not have insurance to cover your medical bills and other damages. And, when a driver has no bodily injury coverage, in most cases, it means that he or she has no personal property that is worth protecting. 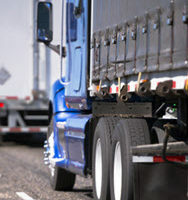 This scenario is entirely different with a large truck or semi-truck crash, as in almost all cases, the employer of the truck driver, which is the trucking company or shipping company, will have a very large bodily injury policy. This is to ensure that their business itself does not take a huge financial hit when one of their drivers severely injures or kills someone in an accident, which could cost them millions of dollars. If you or a family member was injured in a crash that was caused by a commercial vehicle, call the West Palm Beach Celeste Law Firm today. We are eager to assist you throughout each step of your case.